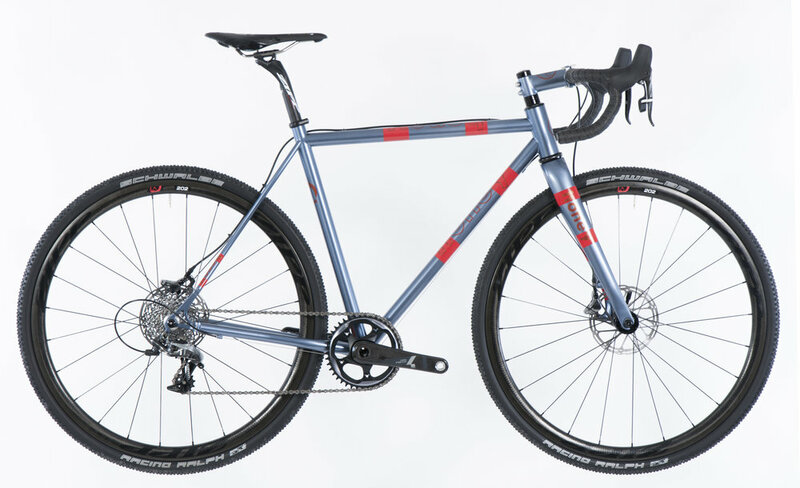 What is the Honey Cross CX1 Disc? The Honey Cross CX1 Disc is a perfect balance of light weight and high performance. We designed the geometry specifically for American style cross races. The Honey is designed for riders that choose Cyclocross racing as their primary competitive focus—not just an off-season fitness tool. Why is the Honey Cyclocross CX1 Disc the ideal cross racing bike? The cyclocross world is quickly shifting to 1x11 setups. Some of the first bikes that Honey built were one-by bikes. We find single ring cross race bikes to be an excellent balance between simplicity, lightweight, serviceability and race performance. Unless you're using your cross bike for multiple kinds of races and events- not just pure cross racing- the CX1 likely provides you all the gears you need to get on the podium. The disc version of the CX1 is particularly suited to the harshest weather conditions, larger riders, and courses with lots of turns. Our chart of Cyclocross CX1 Disc geometry provides all the details you’ll need to determine your ideal size. And, because we offer 12-sizes of the Cyclocross CX1 disc, we’re certain we have a size that will fit you perfectly.